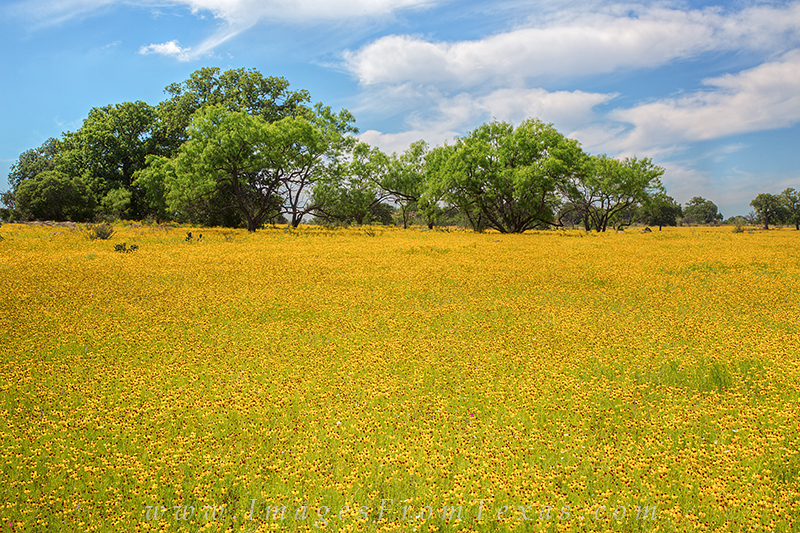 A sea of bitterweed (small yellow Texas wildflowers) engulfs a meadow just north of Llano, Texas, in the Hill Country. With the blue skies and white clouds overhead, I couldn't resist taking this photograph of the golden field. Photo © copyright by Rob Greebon.